You’ll find lots of posts for upcoming events, photos from school assemblies, and other important information you want as a Glebe parent! Click here and ‘LIKE’ our page! 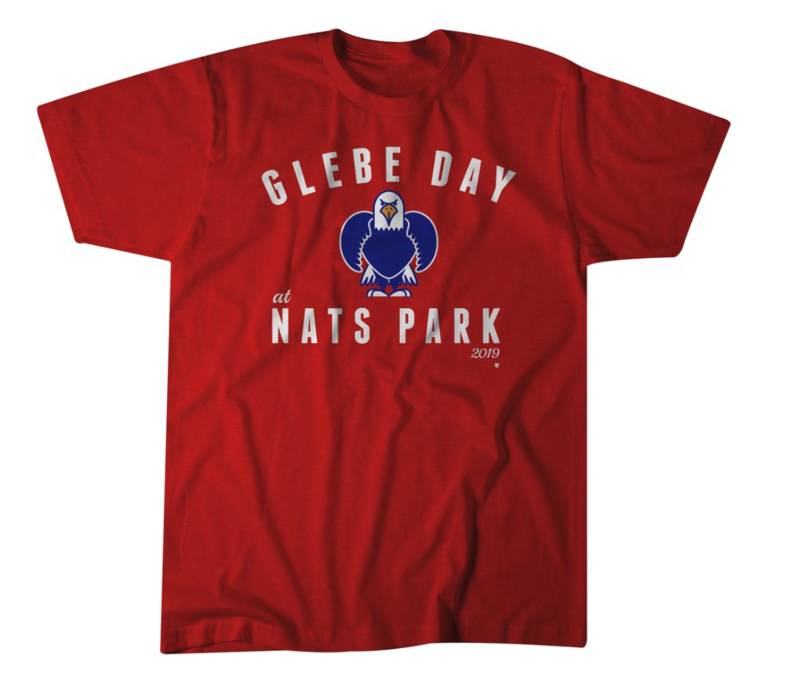 Want to get your own ‘Glebe Day at Nats Park’ t-shirt? 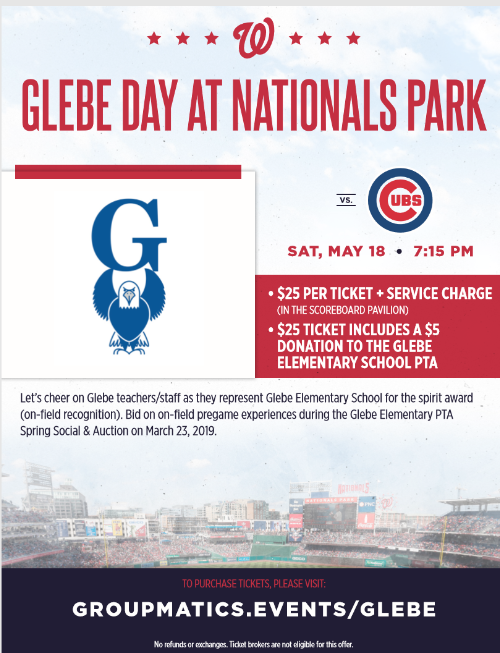 Click on https://breakingt.com/glebe to get one at cost from a fellow Glebe Dad’s business, Breaking-T! Don’t miss out on this deal! PTSA allows students a voice in their school and opportunities to help plan and organize PTSA-sponsored events under the guidance of parents. Students in a PTSA can contribute to their community in a positive way, and their involvement may help parents become more involved too! We are IN NEED of interested folks looking to volunteer next year. The majority of the current Executive Board will hit their term limit in June and will need to step down from their positions. We NEED members of our community to volunteer to keep PTA support and activities going. Please contact Kristen at [email protected] if interested in any position. Congrats to both 5th grade Odyssey of Mind teams for advancing to Worlds! Super awesome job to the 3rd grade team! Keep a lookout for upcoming fundraising for the trip to Worlds.